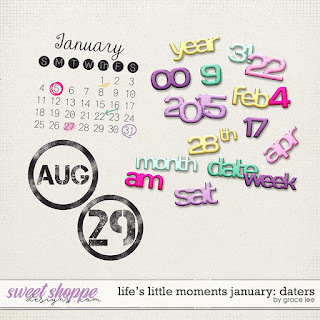 This Time of Year: January helps you capture the daily happenings of the first month of the year. January is a time we look forward and plan for the new year. It is a time we make resolutions. It is a time we deal with post-holiday blues and get back to a normal routine. This kit is perfect for all of the above and so much more. 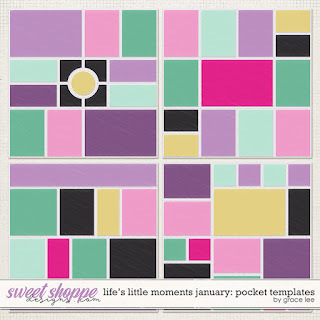 Super versatile with airy and neutral colors, this is a kit that you'll reach for again and again during the year as you document your day-to-day moments. The best deal is the full bundle!!! 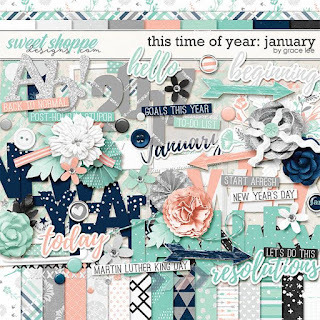 This Time of Year January: Bundle along with the kit and journal cards, this collection includes a set of templates and a set of quickpages, made specifically for pocket albums and your everyday moments. 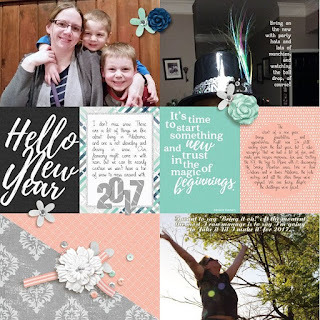 These templates come complete with journal and photo prompts and lots of photos spots. 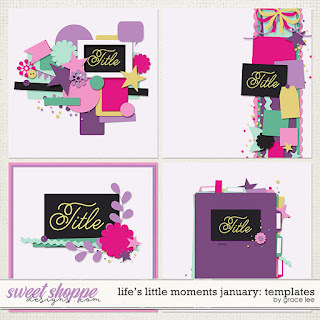 The quickpages come with readymade clusters and journal cards that make completing a yearly project so easy. 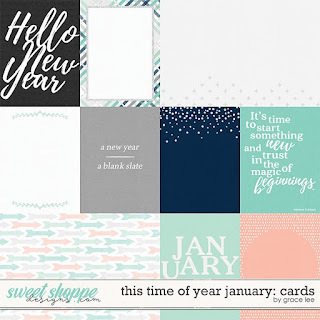 Use the prompts as is for guided memory keeping throughout the next year, or delete the journal layers and journal about photos from previous years. Get it all in the bundle! 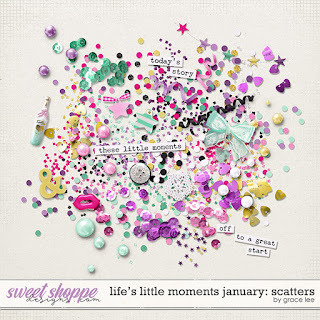 Life's Little Moments January: Bundle is designed for both traditional and pocket scrappers to document their day-to-day life. 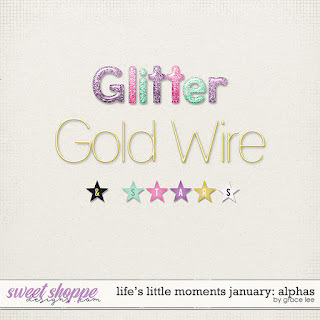 January's collection features an elegant palette of black and pops of gold, hot pink, purple and teal, as well as lot of glitter, shimmer and stars, perfect for scrapping the celebrations and excitement for the new year.